Home > Science & Nature > Geography > Where is New Zealand Located on a World Map? There have been a big earthquake in New Zealand yesterday. The natural disaster took place in one of New Zealand's biggest cities and lots of people lost their lives. Where is the country New Zealand located on a world map? I've heard New Zealand was the location where the Lord of the Rings movie was filmed and I know it's close to Australia. But where is it located on a map exactly? New Zealand is an island nation located in the south western part of the Pacific Ocean. The country of New Zealand covers an area of 268,680 square kilometer. It is part of Oceania, the smallest continent, and without doubt one of the most diverse and fascinating areas on the planet. 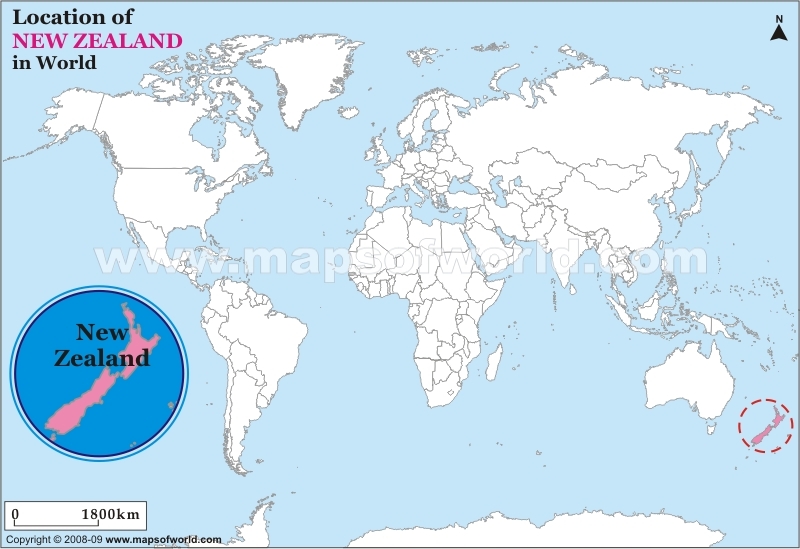 This is the exact location of New Zealand on the world map. Similar Threads for: Where is New Zealand Located on a World Map?